This is Probably the Best. Kale. Salad. Ever. And it literally takes two seconds to make. Put down your Greek salad, and back away from the arugula. 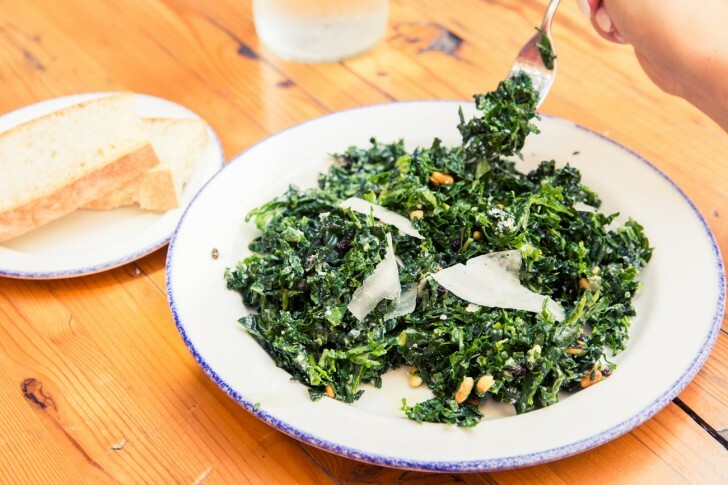 We're here today to introduce you to this little-known, soon-to-on-every-menu-in-town veggie, and it goes by the name of kale. We know change is scary and all, but you'll like it, we swear. Take a risk! Live a little! Broaden your salad bar horizons! Okay, we're kidding. Kale salad is hardly anything new. In fact, much like juicing and a certain 'K'-happy crew, the topic of conversation seems to revolve more the decline of its years-long peak than spreading the good word further. Nevertheless, the leafy green firmly remains a staple on our shopping lists and menu-radars. 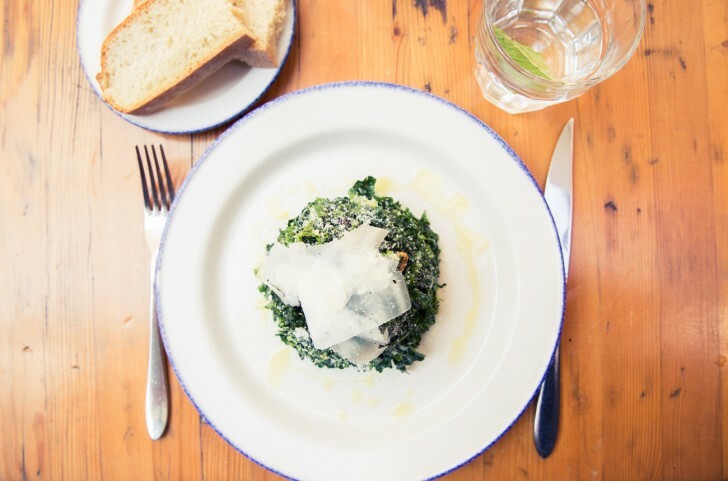 And no one nails it quite like one of our staples in The Six—that would be Gusto 101—where, we swear, it's almost so good, you could skip ordering from the extensive pizza and pasta menu in favor of a salad, none of the "I've been so bad" justification necessary. Here's how to recreate it at home, even if you're heinously hungover and rushing out the door to head to work. Mix all ingredients together in a bowl, making sure the kale is tender from the acid of the lemon vinaigrette. 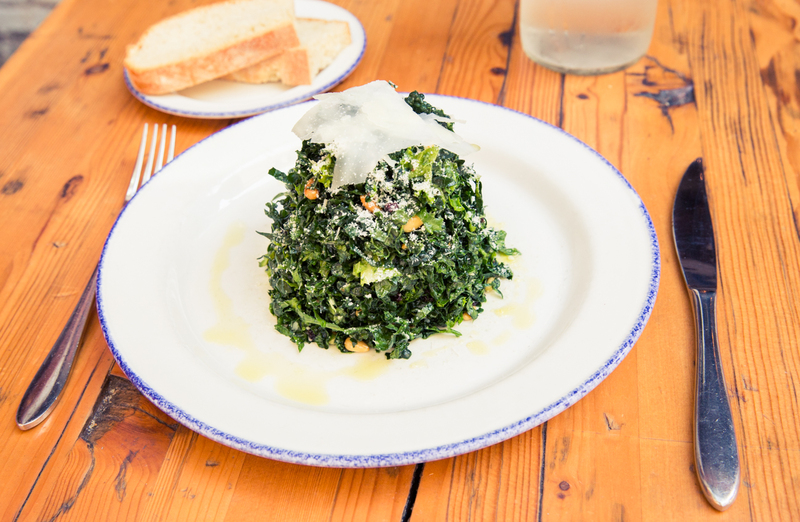 Place in centre of a round plate, and garnish with parmesan and pecorino.